To provide proper support to the women and girl victims who faced gender-based violence in Cox’s Bazar, YPSA has come up with a new project ASTHA: Strengthening Access to Multi-sectoral Public Services for GBV Survivors in Bangladesh. A Project Introduction Meeting was arranged at a hotel in Cox’s Bazar on 14th August. 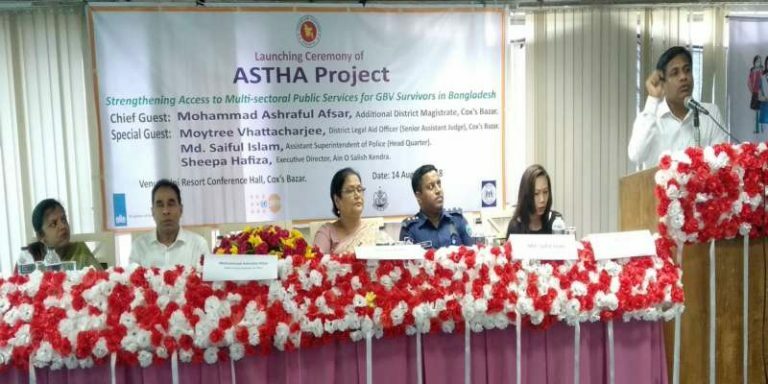 Additional District Magistrate Mohammad Ashraful Afsar was the chief guest while Head of Sub-Office of UNFPA Laura Su; UNAPA Technical Officer (Gender) Abu Sayeed Suman and UNAPA Program Specialist (Gender) Fatema Sultana were present in the occasion. Legal Aid Officer and Senior Assistant Judge, Moytree Bhattacharjee; Assistant Superintendent of Police (Sadar) Md Saiful Islam; Executive Director of Ain O Salish Kendra (ASK), Sheepa Hafiza were present as special guest while YPSA’s director (Social Development) Mahabubur Rahman presided over the meeting . Female Vice Chairman of Ramu Upazila Parishad, Farida Yeasmin; Female Vice Chairman of Teknaf Upazila Parishad Tahira Akhtar Mili; Director of Teknaf Social Services; Director of Social Welfare Department of Ukhia Upazila ; Women Affairs Officer; UP Chairman and YPSA’s Regional Director of Cox’s Bazar, Khaleda Begum spoke in the meeting. Government officials, media representatives, non-governmental organizations and civil society representatives were also present in the meeting. The project is jointly supported by Ain O Salish Kendra (ASK) – a legal aid and human rights organization and UNFPA. 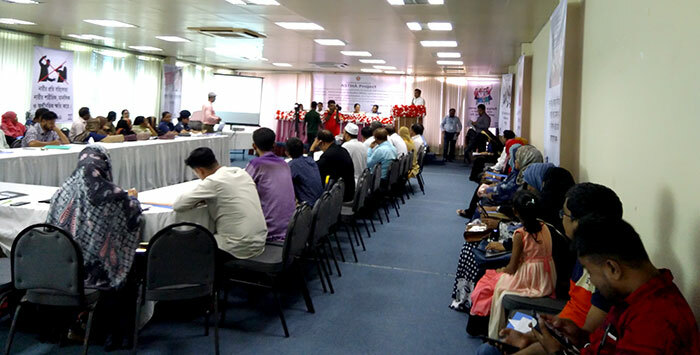 The speakers said that the “ASTHA” project would play an important role in increasing the positive attitude and raising awareness against gender-based violence in the local community in three Upazilas of Cox’s Bazar district (Ramu, Ukhia and Teknaf) .